Abolishing Section 21 without making Section 8 fully &ldquo;fit for purpose&rdquo; will have dire consequences on our housing supply. This week, the government outlined plans to consult on new legislation to abolish Section 21 in a bid to end so called&lsquo;no-fault&rsquo; evictions. Although this is not a surprise move, it is one that, if it goes ahead as suggested (i.e.full abolition of Section 21), will be game-changing for the private rented sector. As I have said for many years, the vast majority of landlords only evict tenants as a last resort. At the end of the day, a landlord doesn&rsquo;t let his property just so he can subsequently evict the tenant, there is always a reason, so the term no-fault is moot. Removing the ability to evict with Section 21 will undoubtedly make any prospective landlords very nervous about embarking on the world of buy-to-let and could encourage existing landlords to exit the market, thus compounding the housing shortage crisis. I also believe we could see a surge in landlords serving section 21&rsquo;s in the near future, as this could be a step too far, especially for the smaller landlords, which unfortunately will result in more evictions. 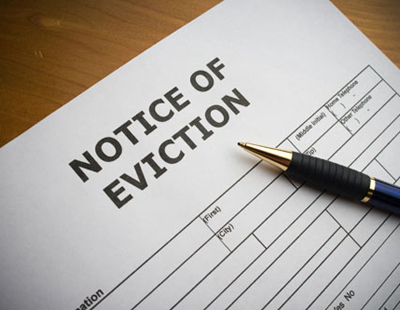 It was reported by Citizens Advice that supposedly 141,000 people have been handed eviction notices since laws to ban revenge evictions were introduced in 2015. I just don&rsquo;t understand how they have collated this information when non-fault means the landlord would not have given a reason. No-one knows exactly how many Section 21 notices are served every year.However, what we do know is that the most common reason for doing so is rent arrears, as was the case for 56% of landlords who responded to our survey last year. In this instance, the reason landlords use Section 21 to gain possession rather than Section 8 aswas intended, is because it is typically quicker. Landlords have little faith in the current court system and few anticipate being able to pursue rent arrears, so most take the decision to forfeit recovering lost rent and just to get their property back as soon as possible so they can re-let. Section 8 also comes with the added risk that tenants can counter-claim, therefore delaying the process further. In my view, if Section 8 is going to have to be relied on more heavily, it must be &ldquo;fit for purpose&rdquo; and any changes and their application need to be carefully considered.&nbsp; Clearly, if a landlord is going to need strong grounds for possession, there are going to be a lot more court hearings. So, my question would be, are there going to be a lot more judges and resources to handle this increased workload? The government has said that &ldquo;Court processes will be expedited so landlords are able to swiftly and smoothly regain their property in the rare event of tenants falling into rent arrears or damaging the property&rdquo;.&nbsp; However, in truth, we don&rsquo;t know how &lsquo;rare&rsquo; rent arrears cases are because most landlords are writing them off via use of Section 21. So, in that respect, perhaps greater use of Section 8 might be a positive thing as there will then be more accurate records of rent arrears cases.&nbsp; However, the government must then assist landlords by ensuring money orders are registered as CCJs.&nbsp; This will not only act as a deterrent to tenants who regularly fall into arrears and simply move on, but also enable landlords to pick up on defaulting tenants from their referencing. Finally, what about all those cases which are less black and white?The cases where the tenant does pay the rent, eventually, but it is always late, refuses to give the landlord access and fails to communicate regularly, leaving the landlord with no choice but to pay the mortgage out of his own pocket until the tenant coughs up? My point is, it is not always one reason why a landlord decides to serve notice, it can be series of reasons which have built up over time, leading to a breakdown in communication. Where will those landlords in that situation stand? Landlords are feeling very downtrodden at the moment and it&rsquo;s easy to see why – they haven&rsquo;t even started to feel the effects of the tenant fees ban yet and already have been hit with yet another potentially industry-changing piece of legislation. Whatever the outcome, we know it isn&rsquo;t going to happen quickly as there is a consultation first, but since there is much at stake for everyone involved in the PRS, I would urge the government to fully engage with the industry to understand the consequences of legislative change and consider dilution of Section 21 over removing the use of Section 21 altogether. So finally, as a landlord, I urge you to complete the consultation on Section 21&rsquo;s when its released by the Government, to have your say.